What makes a quality sire? Is it his career on the racetrack? Is it his ability to get great runners early, internationally, and on all surfaces? Is it his ability to get the mares he is bred with to produce better? Or are they the particular personality traits or physical attributes he passes on to his babies. Probably a bit of all of these things. I wanted to write about sires who aren’t house hold names but who I felt showed these characteristics. Just because a particular stallion is being offered at far less when compared to some of the big name ones doesn’t mean that they don’t produce equally as impressive runners. Here are 5 of my favorite value sires since the year 2000. Mizzen Mast is siring top class runners in North America, Europe and Japan with Stakes Winners on dirt, turf, and synthetic surfaces in five different countries. He’s known as a sire who “upgrades” his mares. Mizzen Mast is also best known for his later maturing, middle-distance runners in which he adds a touch of speed to (he did have multiple G1 winners at classic distances though). He is the sire of 33 stakes winners including 12 Graded stakes winners and 5 Grade One winners. In 2012 He sired 2 Breeders’ Cup Winners, Mizdirection and Flotilla. Only Smart Strike, Awesome Again, and More Than Ready have also sired two Breeders’ Cup Winners in the same year who currently stand at stud. Juddmonte Farms just raised his stud fee from $15,000 in 2013 to $20,000 in 2014 but there is still value to be found in this excellent stallion. Mizzen Mast hasn’t had great success with two-year-olds. As stated earlier his offspring are known to be late maturing. But he has put out a couple of very nice ones in Flotilla and most recently Full Mast. Also, Mizzen Mast was a top 2 seller for a duo of two year olds in training at the second session of the OBS sale in 2011. It is as a sire of turf runners where he has left his mark, although he was able to produce quality winning dirt horses such as Barrier Reef (Whirlway Stakes), Ultimate Eagle (G2 Strub Stakes), Tropical Light (million dollar earner in Japan) and Mizzcan’tbewrong. He himself both raced on turf and dirt surfaces. From 2009-2014 He was in the top 25 in offspring earnings on turf 5 out of 7 times. And as an international sire just look where his best runners this year are running: Argentina, Peru, France, UAE and Australia. Year after year a solid percentage of his total earnings have come from his international runners. Mizzen Mast’s best runner, 2 time Breeders’ Cup Turf Sprint Champion Mizdirection, recently sold at a public auction for 2.7 million dollars at Fastig-Tipton auction. Some of his other best runners were/are Flotilla (Breeders’ Cup Juvenile Turf Filly Champ), Mast Track (just under one million in earnings, winner G1 Hollywood Gold Cup at 1 1/4 miles), Midships (winner G1 Charles Whittingham Memorial Handicap at 1 1/4 miles), Ultimate Eagle (winner G1 Hollywood Derby on Turf and G2 Strub Stakes on dirt) and multiple graded stakes winners Madeo and Jibboom. Focusing on his pedigree, Mizzen Mast is the son of Cozzene, the 1985 Eclipse Champion Male Turf Horse. That year he won The Breeders’ Cup Mile but what’s interesting to note is that he didn’t race until three and then won 3 of his first 6 races on dirt before switching to turf. After racing Cozzene had a very successful career at stud producing Group One winner Environment Friend (Eclipse Stakes) and 2 Breeder Cup Champions himself, French invader Tikkanen (Breeders’ Cup Turf) and Alphabet Soup (Breeders’ Cup Classic). His grand sire, Caro, was no slouch either in the breeding shed. With 78 stakes winners he was first known as a great turf producer in France but later came to America and gave us Winning Colors (Kentucky Derby Heroine). He was also the grand sire of successful dirt stallion In Excess and the broodmare sire of Unbridled’s Song and Maria’s Mon. Mizzen Mast’s female family includes Kentucky Oaks and Massachusetts Handicap winners on dirt among his nearest relatives so you can see how Mizzen Mast gives off both turf and dirt winners. One interesting thing of note about Mizzen Mast’s pedigree is that there is no inbreeding in his family’s first five generations (something of value to a breeder and not seen in too many American horses). 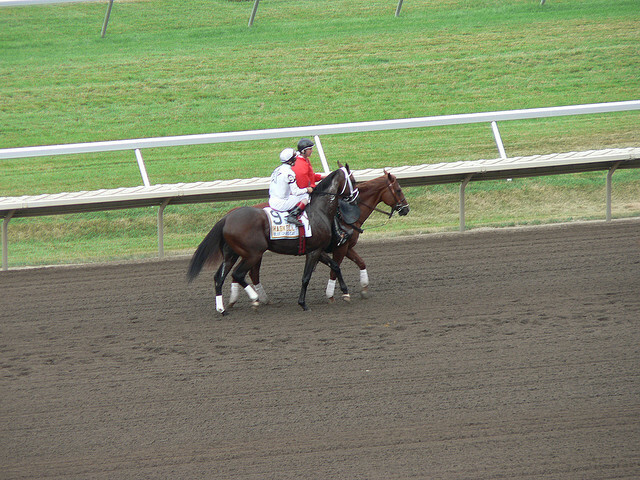 Mizzen Mast ran on both surfaces as well and I feel probably his best surface was actually on dirt. He was a Group winner at two and three in France before he came to the states and trained by Bobby Frankel. He won the G1 Malibu (7 furlongs. dirt), The Bien Bien Stakes (1 mile, turf) and the Grade 2 Strub Stakes in which he set a stakes record (9 furlongs, dirt). His career earnings were $554,146. It’s too bad Mizzen Mast raced only 11 times because Frankel always thought he was an exceptional talent. What sums up Mizzen Mast as a sire is versatility, the way he brings up his mares, and his international success. He puts a touch of speed in his progeny and most get better with age. Mizzen Mast is a true value sire- he is getting some very good results on the race track, even when measured against far more expensive stallions. Exchange rate is one of Danzig’s best sires. He has already produced more stakes winners and stakes runners than any other son of Danzig in 2014-including War Front ($150,000). Now that’s value! So far he has produced 53 stakes winners as a stallion. His offspring typically go one turn, he adds speed to them and his turf runners tend to go longer. What has been his best playing card is his ability to produce early winners and also another sire featured who upgraded his mares. 45% of his stakes winners have earned black type at 2. Exchange Rate sits currently at #8 in earnings for two year olds. He was 10th in 2012 and 9th in 2011. What’s equally impressive is that he ranked 13th in earnings in 2008 with only 57 two year old runners and 20th in 2005 with just 44 runners. Some of his best 2 year olds have been Sunset Glow (G1 Del Mar Debutante), Full Mast (Prix La Rochette Lagadere), Reckless Abandon (Equal Top British 2 year old 2012), Excaper (2nd Breeders’ Cup Juvenile Turf 2011), Southern Exchange (Victoria Stakes and Colin Stakes 2008) and Blazing Rate (Florida Stallion Stakes 2005). While over 75 % of his winners have been over dirt, he has gotten turf winners such as the aforementioned Sunset Glow, Full Mast, Reckless Abandon, Excaper and Ball Dancing (recent winners Sands Point Stakes). And over synthetic surfaces recent Grade 1 darling Sunset Glow and Blue Heart (Bison City Stakes and Jammed Lovely Stakes at Woodbine) have made a mark. Exchange Rate has shuttled to Argentina where he has had success this year with Grade 1 winner Kalithea and Group II placed Argentino a Muerte. He’s already produced Full Mast, Reckless Abandon, and Ball Dancing in Europe and A Shin Gorgeous in Japan. This has given Exchange Rate recognition as a successful international sire. Exchange Rate was a 1.4 million dollar purchase in 1998, suggesting a stellar pedigree and great physical looks. He is by one of the world’s greatest sires Danzig. As a stallion he produced 188 Graded Stakes winners and ten champions. His progeny earned over 100 million dollars. He was also a great sire of sires. Danehill (first sire to reach over 300 stakes winners), Langfuhr (49 stakes winners including Wando, winner of the 2003 Canadian Triple Crown), Belong to Me (sired 2 champions and 29 Graded Stakes winners) and Polish Navy (sired 1993 Kentucky Derby winner Sea Hero). Exchange Rate’s grand sire is Hall of Famer Northern Dancer, who sired 146 stakes winners including a remarkable 26 champions world-wide. He’s been called the 20th century’s greatest sire of sires-his sons including superstar sires : Be My Guest, Danzig, El Gran Senor, Fairy King, Lyphard, Nijinsky, Northern Taste, Nureyev, Sadler’s Wells, Storm Bird, and Vice Regent. Exchange Rate is out of the graded stakes-winning Seeking the Gold mare Sterling Pound. His 4th dam, Native Partner, was the dam of champion Ajdal, group and grade one winners Formidable andFlying Partner, and classic-placed group winner Fabuleux Jane. Native Partner is also ancestress of Arazi, Horse of the Year in Europe and champion in the U.S. at 2, and other group or grade I scorers Noverre, Dance Partner, Dance in the Mood, Dance in the Dark, Eagle Café, and Swiss Ace. As with Mizzen Mast, Exchange Rate won on both dirt and turf. His major accomplishments though came on dirt where he was the winner of the Risen Star Stakes at 3 and the Grade II Tom Fool Handicap at 4. He finished his racing career with 6 wins out of 15 starts with earnings just under $500,000. Exchange Rate is a beautiful horse that adds strong physical attributes and good looks on to his offspring. He is a well rounded sire and by looking at how well his 2-year-olds have produced in recent years his stud fees are probably pointing north in the coming years. Sky Mesa is trail blazing a path for impressive 2 year old performers. This is not surprising considering he himself was a top two-year-old while racing. He also has Grade 1 winners on all surfaces. Add royal breeding and a powerful build and you are looking at a sire who has everything it takes to churn out winners side by side with the big boys. So far this stallion has produced 43 lifetime stakes winners and a progeny that has earned 31 million dollars. He adds a bit of speed on to his offspring and his Average Winning Distance (AWD) is 6.90 which suggests runners of shorter distances, although he does have classic distance horses. Sky Mesa has been a perennial leading sire of 2-year-olds: #4 in earnings so far in 2014, #12 in 2013 (tied for most stakes winners), #27 in 2012, #23 in 2010 and #3 in 2008. His best earners have been Skyway (Grade 2 Best Pal Stakes), Llanarmon (Grade 2 Natalma), Dynamic Sky (Simcoe Stakes), Wonderlandbynight (Grade 3 Arlington-Washington Lassie), Terrain (Grade 3 Arlington-Washington Futurity), Thiskyhasnolimit (Grade 3 Iroquois Stakes) and Sky Diva (Grade 1 Frizzete). Some of Sky Mesa’s top offspring have won on turf and synthetic surfaces including General Quarters (former claimer who became a millionaire winning Grade 1 Bluegrass Stakes on synthetics and Grade 1 Woodford Reserve Turf Classic), Dynamic Sky (Plate Trial Stakes, synthetics), Terrain (Grade 3 winner on synthetics), Storm Mesa (Grade 2 San Clemente Handicap on turf), Satans Quick Chick (Grade 2 Raven Run on synthetics) and Sky Blazer (multiple graded stakes placed on turf). Sky Mesa is not a strong international sire but does have his share of runners in Asia and a few in Europe as well. A great feature that Sky Mesa passes on to his babies are royal bloodlines. He was purchased at KEENSEP01 for $750,000. Sky Mesa was the first Grade One winner of his dad Pulpit, who is having a remarkable 2014 being the grand sire of California Chrome, Untappable and Tonalist. Pulpit sired 63 stakes winners, with many becoming successful sires themselves, especially his son Tapit. His dam, Caress, was by the great Storm Cat who once stood for $500,000. She was a multiple graded stakes winner and is a full sister to the successful sire Bernstein and the Grade 3 winning Country Cat. She is also a half-sister to Della Francesca, a multiple Group or Graded stakes winner. Sky Mesa’s female line traces to the great La Troienne, his seventh dam, through Buckpasser’s dam, Busanda (his 5th dam). He is also inbred 4×4 to Secretariat, 6×4 to both Northern Dancer and Round Table. Quite an impressive pedigree resume if I may say so myself. Sky Mesa’s career on the racetrack was impressive but brief and could have been much more. He won his first three starts at two, winning the Grade 1 Hopeful and the Grade 2 Lane’s End Breeders’ Futurity. He would have been favored in the Breeders’ Cup Juvenile but an injury held him out and carried on through the Triple Crown season the following year. He ran 2 big races when returning to the track at 3, running a good 3rd in the Grade 2 Dwyer Stakes followed up by an impressive 2nd in the Grade 1 Haskell Invitational. After a disappointing run in the Travers he was retired. It is easy to see why Sky Mesa has pumped out early to mature horses by looking at his own 2-year-old campaign. What is very neat to me is that although he ran on dirt he has produced great turf and synthetic runners on top of dirt ones. Sky Mesa’s stud fee dropped from $30,000 in 2011 to $20,000 where it stands now. The last two years, including this one, he has been on the rise (8 stakes winners 2011, 6 in 2012, 15 in 2013 and 9 already this year) so an investment in Sky Mesa right now would be a wise one in my humble opinion. City Zip is 5th in total earnings for North American sires this year (133 winners so far, 1st place), 6th in 1012, and 21st in 2010. So why is his stud fee only $25,000 when he was ahead Tiznow ($75,000) and A.P Indy ($150,000) in 2010 and Malibu Moon ($75,000) and Distorted Humor ($100,000) in 2012? All I know is that from City Zip you are getting horses who shine on the turf and are impressive right from the start. City Zip has sired 53 stakes winners including 18 graded stakes winners. He is another sire who I have featured that improves his mares. City Zip is known to add speed to his offspring and even though his AWD is only 6.47 furlongs he does have winners up to 9 1/2 furlongs on all 3 surfaces. City Zip Has a lifetime juvenile win rate of 21%. He is ranked 31st in total two-year-old earnings this year, 21st in 2013, and 17th in 2011. Some of his best two-year-old runners have been Gal About Town (G2 Pocahontas Stakes), Majestic City (3rd Grade 1 Del Mar Futurity, 2nd Grade 1 Breeders’ Futurity), Gleam of Hope (Grade 3 Jefferson Cup and Run Away and Hide (Grade 3 Kentucky Juvenile and Grade 2 Saratoga Special). It is as a turf and all weather sire that City Zip has really made a name for himself. Here are his rankings in recent years for earnings on turf: 13th in 2014, 18th in 2013, 6th in 2012, 10th in 2011 and 4th in 2010. His best turf horses include the following: City Style (millionaire, multiple Graded Stakes placed in UAE), Get Serious (millionaire, multiple Grade 3 winner), Unzip Me ($950,000 earnings, multiple Grade 3 winner), Dayatthespa ($950,000 earnings, Grade One Queen Elizabeth’s II Challenge Cup Stakes) and Reneesgotzip (3rd in Breeders’ Cup Sprint in 2012, 2nd in 2013). As an all weather sire he has produced as well with top 25 in earnings over the past 4 years. What is brilliant about City Zip is that his top earner to date, sprinter Palace (Grade One Vanderbilt and Forego winner this year), is a dirt horse. So is Bustin Stones (G1 Carter Handicap, undefeated in 6 races). This shows that you can’t pigeon hole City Zip as simply a turf producing horse. City Zip has not been much of an international sire, but he gave us Dana My Love (Multiple Grade 1 winner in Puerto Rico, producer in USA) and City Style (million dollar earner in Europe and UAE). City Zip was purchased for a mere $9,500 at a January Keenland sale. He is the leading sire from the Chef de Race horse Carson City, who sired 100 stakes winners and was the son of Mr. Prospector. What made City Zip’s pedigree more special was when his mom, Baby Zip, became the 2005 Kentucky Broodmare of the Year and produced Hall of Famer Ghostzapper (winner of the Breeders’ Cup Classic and currently a successful sire). He is also a half brother to Canadian Grade 3 winner City Wolf. You can see why he has produced many short distance types and where the early prowess comes from, but why has he been such a prolific turf producer. Note that his broodmare sire, Relaunch, was a front-runner who stayed 12F when second to John Henry in the G1 San Luis Rey on turf, and his third dam is by turf champion Hawaii (also sired Epsom Derby Champion Henbit). City Zip was a very durable horse during his racing career, running 23 times (winning 9) between 2 and 3 years of age and earning over $800,000. He was trained by Linda Rice. At two he won the Grade 1 Hopeful and Grade 2 Saratoga Special, Sanford and Grade 3 Tremont Stakes. At 3 he won the Grade 2 Amsterdam Stakes, Grade 3 Jersey Shore Breeders’ Cup Sprint and the Bergen County and Hirsch Jacobs Stakes. He also ran 3rd in The G2 Kelso on turf. I see City Zip as a well rounded, do it all sire who has shown that his offspring can run with the best of them on any surface.. Why his stud fee is where it’s at I do not know. But with the year he’s having with the likes of Palace and Personal Diary (winner Grade 1 Del Mar Oaks), I would be buying now because I see his stud fee going nowhere but up. Ever since arriving in New York in 2012 Bluegrass Cat has taken over as the leader in earnings, wins and juvenile wins. He was 2nd as a First Crop Sire in 2010 and 2nd again as a second crop sire in 2012. His pedigree is so strong that originally he was brought to the green pastures of Win Star Farms to be bred. He had a stellar career on the race track as well. Finally he is being shuttled to the Southern Hemisphere for their breeding season so he’s going international as a sire. This is what makes him currently a value sire, especially seeing how Freud, New York’s perennial leading sire, stands for $10,000 right now. Bluegrass Cat was #7 in 2010 in total 2-year-old earnings with Kathmanblu (Jessamine Stakes turf/Grade 2 Golden Rod dirt, 3rd Breederss’ Cup Juvenile filly Turf) leading the way. He was#6 in 2011 Sabercat (Grade 3 Delta Downs Jackpot). In 2012 he ranked 35th and this year he ranks #17 with Stakes winner Story to Tell his top earner. Being by Storm Cat Bluegrass Cat gives out offspring who are speedy, early maturing, and precocious. Most of his runners typically win up to a mile and a sixteenth. He is known to produce more dirt runners than turf but he’s had some decent turf and synthetic runners, including E B Ryder (2014 2nd Sunshine Million Filly & Mare Turf, 1st Anka Germania Stakes), Go Blue Or Go Home (Graded Stakes placed on turf, stakes winner on synthetics) and Blue Laser (Grey Stakes, synthetics). Bluegrass Cat is shuttling to Uruguay this year which will hopefully bring him nice winners from the Southern Hemisphere. The farm he’s going to is very excited about the news. Some of his best offspring include Sabercat, Kathmanblu, Laurie’s Rocket (multiple Graded Place), Percussion (multiple graded place, stakes winner) and Teeth of the Dog (Grade 2 Dwyer). Bluegrass Cat’s pedigree is impeccable. He is by Storm Cat and his dam, She’s a Winner is by AP Indy. She’s a winner is a full sister to the dam of Super Saver and G1 winner Imagining. He is also closely related to Grade 1 and Grade 2 winner Girolamo. Bluegrass Cat is inbred with a 3X4 cross to both Northern Dancer and Secretariat. finally, his female family is a direct descendent to the great matriarch La Troienne. On the track Bluegrass Cat was special. He won or placed in 9 of 11 races. At 2 he won the G3 Nashua and G2 Remsen. On the derby trail he won the Sam F Houston Stakes and then finished 2nd to Barbaro in the Kentucky Derby and 2nd in the Belmont Stakes. His biggest accomplishment came when he won The Haskell Invitational by 7 lengths (a record for margin of victory at the time). He then ran 2nd to Bernardini in the Travers Stakes. Bluegrass Cat is the #1 Storm Cat sire outside of Kentucky going on 3 years. Given his pedigree and his brilliance on the track hopefully he will be bred to some mares who have strong distance oriented families because I think he has it in him to produce classic winners. With how he has stampeded New York’s racing circuit I see his stud fee climbing to over $10,000 in the next couple years so get him on the cheap now. In this article I have showcased five sires I feel are special and don’t cost a ton to breed to. Some of them produce early winners while others have offspring who excel on all three racing surfaces. If you match them up to horses standing for double their money you won’t find a big difference in the quality of their offspring and that is why I find value in them. Year after year they are banging heads with the big boys and not backing down. I also feel that these five stallions are on the come, meaning they are showing signs of reaching new heights. You can read more of Bob’s writing at his blog. Image: Nakishi, Bluegrass Cat. Copyright 2006.